Some of the best discoveries happen by accident. Voting has long been used as the basis of decision in a democracy. We as a society have together embraced that an open election process, untainted by but still controlled by, a central authority is the only real way to allow for a large group of people with vastly different opinion’s to come to a consensus on a specific issues. Along the road of developing the DASH software there became a need to solve some of the very same problems we face in real world democracies. The second tier of the DASH network consists of this group of first class citizen’s called Masternode’s. We consider for the discussion that since Masternode’s are fairly expensive to acquire, in real world dollar value, it’s more likely that they will be acquired by individual’s or corporation’s that have the best interest of the community at heart. Since we also can’t always trust everyone in a group it was discovered that, one pretty good way to help promote the desired outcome from network members was to provide incentive to them to act according to what is most healthy for the network also the scenario of penalizing people for acting poorly can also help discourage bad behavior. We see this a lot in society in term’s of mothers and father’s offering a reward for their child to provide a desired outcome. 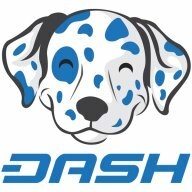 In the case of the DASH project when you consider that every person who opens a wallet and connects to the network is participating and relying on the network protocol to act in a predictable way, making this the top priority of the network participant’s was a very important. As the Masternode’s network tier has evolved it has become possible to use quorums of different Masternode’s to do different things. InstantX transactions are an example of how these quorums get formed and then can be used to vote against each other to come to consensus. 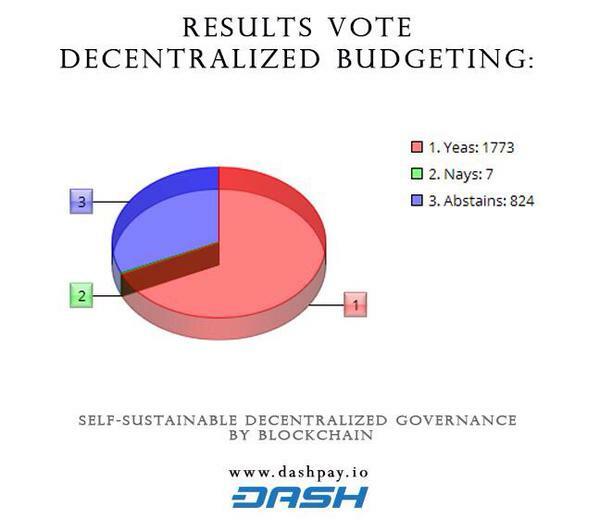 In the end this was one of the first successful examples of decentralized goverance by voting. The vote was only open to the masternode owner’s so definitely not a truly entirely democratic example but the same masternode operators who voted are also the ones who have been so active and pushing inside the community to break down barriers and solve these unsolvable decentralized governance issues. The community has trusted these Masternode owners much like elected official’s are trusted. The voting has since closed and the proposal has been pushed forward.